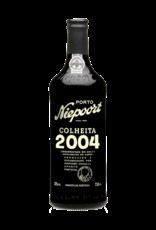 Niepoort usually lets a Colheita age for a minimum of 10 years. This Colheita 2004 has aged in small oak barrels for 14 years (bottled in 2018). Transparant brick red/brown in colour with a creamy sweet intense taste.